The marble workers laboring on the decades-long restoration of the Acropolis are the invisible force rebuilding one of the world's most storied monuments. Inheritors of a millennia-old tradition, few carvers exist today; fewer pass the Acropolis entrance exams. Their work is a highly technical, fascinating amalgam of past and present, yet what these master marble carvers do and how they do it was previously undocumented. 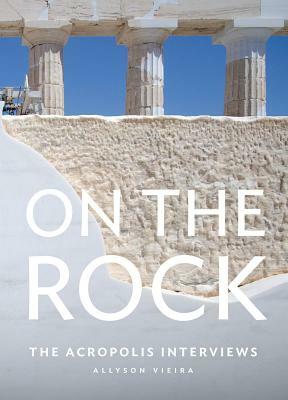 As the Acropolis restoration enters its final phases in the midst of political and economic crises in Greece, this book of interviews (in English, with Greek translation) conducted by American artist Allyson Vieira presents the marble carvers' stories in their own words. The workers describe their craft, techniques, training and their specific roles in the restoration; and consider how the Greek crisis has changed the way they think about their jobs and their citizenship.